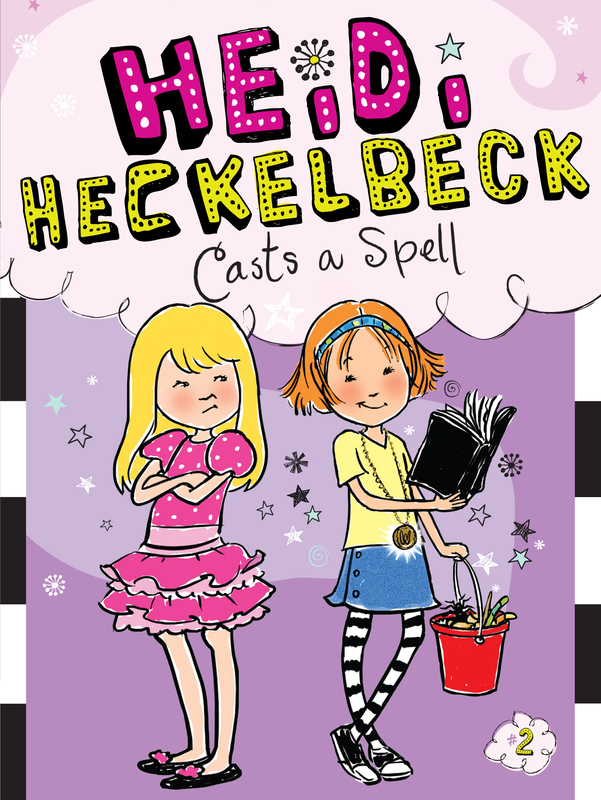 Heidi Heckelbeck displays her witching skills in this second book of a new young chapter book series! Thanks to meanie Melanie Maplethorpe, Heidi is cast as a scary tree in the school play, The Wizard of Oz. Heidi decides to get even with Melanie by casting a spell on her. The result of the spell? Melanie—who has the lead role as Dorothy—will forget her lines. As the day of the play nears, Heidi carefully collects all the ingredients she needs. But when she casts her spell, will Heidi’s revenge be as sweet as she thinks? COVEN, Wanda. Heidi Heckelbeck Casts a Spell. illus. by Priscilla Burris. 118p. (Heidi Heckelbeck Series). CIP. S & S/Little Simon. 2012. Tr $14.99. ISBN 978-1-4424-4088-3; pap. $4.99. ISBN 978-1-4424-3567-4; ebook $5.99. ISBN 978-1-4424-3568-1. LC 2011014336.